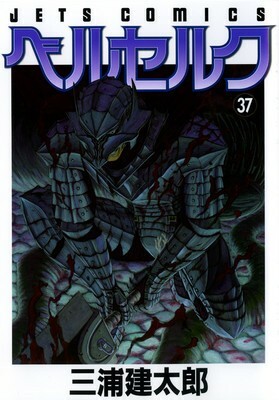 The January 2016 edition of Hakusensha’s Young Animal magazine made the announcement that Kentarou Miura’s Berserk manga will be receiving a new anime adaptation. NBC Universal is set to unveil Berserk’s first promotional video at the winter Comiket convention which runs between December 29 to December 31, 2015. The new Berserk anime will not be a re-telling of the original 1997 anime nor the movies that already recovered that material. Instead, Miura stated that this adaptation will depict Guts in his Black Swordsman appearance and will take place after the events in the final episode of the original series.. The announcement also stated that the original 1997 anime will receive a new Blu-Ray DVD release that will also include the 2012 remastered movies. This box set will go on sale in Japan on April 20, 2016. There is no word if a U.S. release is in the works. In addition, Miura also announced that the Berserk manga will also be going on hiatus until summer of 2016. The manga will continue on as an irregular series, meaning that weekly or monthly releases are not always guaranteed.